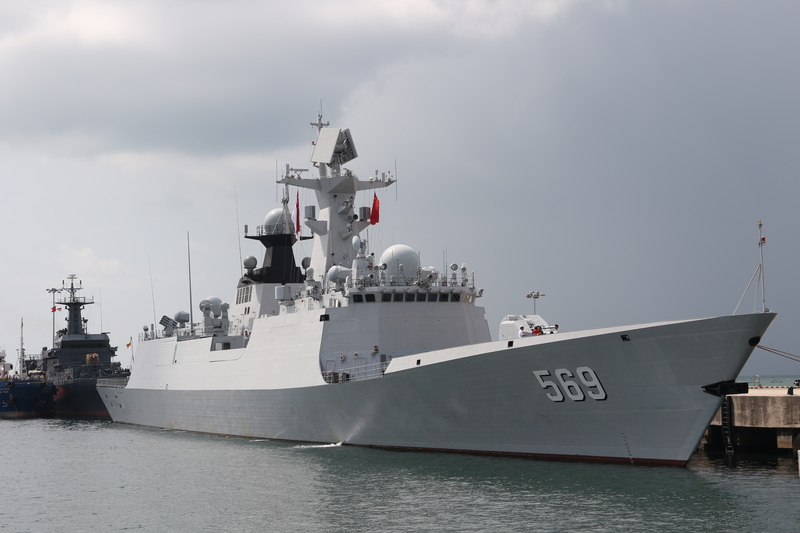 South China Sea tensions – The irony of it all! The International Maritime Security Conference (IMSC) 2015 took place at IMDEX Asia on 20 May with keynote addresses from regional navy chiefs. Lurking in the background were unsettling territorial disputes in the South China Sea. Yet unusually few dared to highlight it. Considerable publicity has been given to China’s sizeable South China Sea land reclamations, although it is not the only country to engage in such activities. So a country from far away demanded answers, while those nearby remained silent. However, amidst phrases like ‘reduce suspicion’, ‘win-win philosophy’ and ‘abandon the Cold War mentality’ (stock communist party lexicon), many in the audience were disappointed China did not acknowledge its role in rising tensions. Listening to Shen’s speech, it seemed no problem exists in the South China Sea, and that China was a model maritime citizen – ironical considering the alarm Beijing’s actions are engendering! Amidst typical Chinese verbal manoeuvring, China deflected any responsibility for the current state of affairs. In yet another dose of irony, on the same day as Shen was addressing IMSC delegates, a PLAN radio despatcher demanded eight times that a USN P-8A maritime patrol aircraft flying over the South China Sea turn away. As part of a deft PR blitz, the recording from the USN aircraft is available on YouTube, including US refusal to comply. Foreign Ministry spokesman Hong Lei characterised the US overflight as ‘irresponsible, dangerous and detrimental to regional peace and stability’. Things are certainly heating up. Earlier this month, USS Fort Worth conducted a freedom of navigation passage near the Spratly Islands. The USN vessel encountered several PLAN warships, which allowed practice of the Code for Unplanned Encounters at Sea (CUES). Referring to the P-8A incident, Hong added, ‘China will keep a close watch on the situation and take proper measures to protect the security of its territory.’ He called on the US ‘to act in strict accordance with international law’. Somewhat ironic, since all aircraft are entitled to use airspace over the South China Sea. The following day, on 21 May, PLA Air Force (PLAAF) aircraft transited over the Miyako Strait (between Okinawa and Miyako Island) for an aerial exercise. PLAAF spokesman Shen Jinke said the drill was carried out ‘in accordance with relevant international laws and practices, demonstrating China as a responsible big country before the world’. He insisted all countries are entitled to the freedom of navigation and overflight in line with the United Nations Convention on the Law of the Sea (UNCLOS). From China’s perspective, it seems UNCLOS does not apply to the South China Sea, however. The US recognises UNCLOS but has not ratified it – this too is an irony.